If you are moving from a house into a condominium, or a smaller house, you may run into a host of problems. 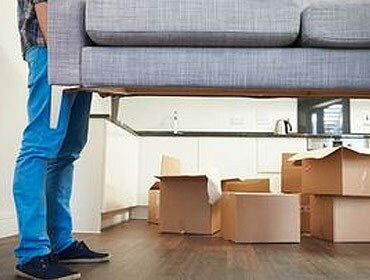 Here are some tips for movers who are moving to a smaller home. Accurately measure the dimensions of each room so that you can make sure that your existing furniture will fit BEFORE you transport. A roughly drawn blueprint will help you. Make sure that you move all your big items first then your small items so that you can position pieces accurately and efficiently. This also helps you arrange your smaller items to complement your bigger items efficiently. Disassemble all sofas, chairs, bed posts, bed frames so that you prevent any dents on the walls and any damage to furniture especially when moving expensive items. It also helps in moving more slowly through smaller spaces. Go through your massive collection of stuff and organise them into three piles – the things that will make the condo livable and useful, the things that you are going to discard because of lack of room or lack of utility and the things that are useful to others (a charity, a friend or a relative) but not to you. I know–giving up your 5 year unused Tupper wear set is hard but just fight through it. Keep these tips in mind to ensure that your new place is a small, cozy place of heaven for you. If you are thinking about moving, consider Thunder Bay Movers (T-Bay Movers) for all your Thunder Bay moving needs. T-Bay Movers is a Thunder Bay moving company based in Thunder Bay, Ontario. We offer residential moving services and commercial moving services. Our prices are affordable and our services are focused on quality and customer satisfaction. Click here to get a free quote on your move. T-Bay Movers is a professional moving company based in Thunder Bay, Ontario. We offer residential and commercial moving services. Our prices are affordable and our services are focused on quality and customer satisfaction. Get a free quote on your move.